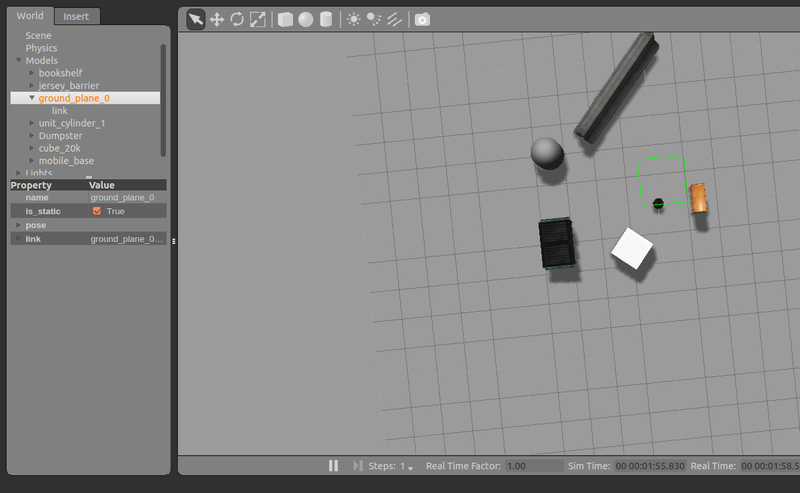 In this page, we will learn about two different simulators to test your Turtlebot robot programs. 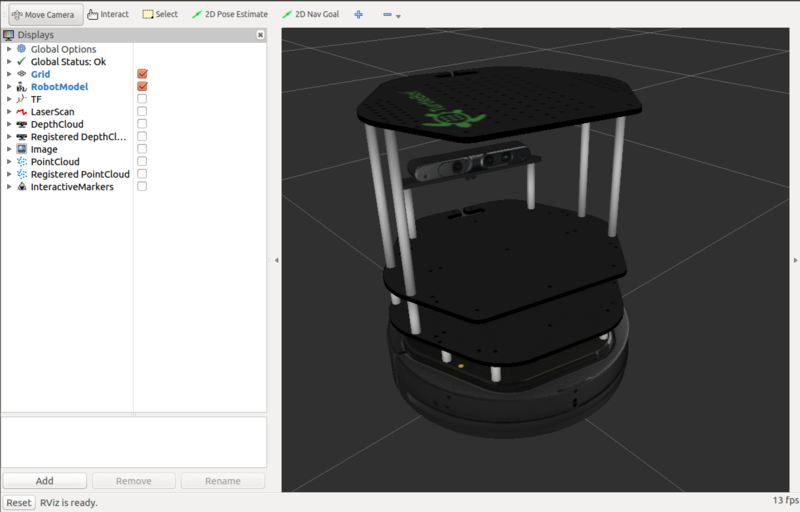 There is a couple of simulators that you can help you with your robot such as Gazebo, Stage, RViz and Stdr. The most used simulators are the Gazebo and the Stage. Stage Simulator and how to launch it. Stage is a 2D multi-robot simulator. It shows the user a world defined in a file with an extention .world . This world has everything the software needs to know from the obstacles, free space to robots and other objects. Click on the 2D Nav Goal option on the top bar and command the robot to go anywhere you want in the map. The following picture is after you choose a position for the robot to go. 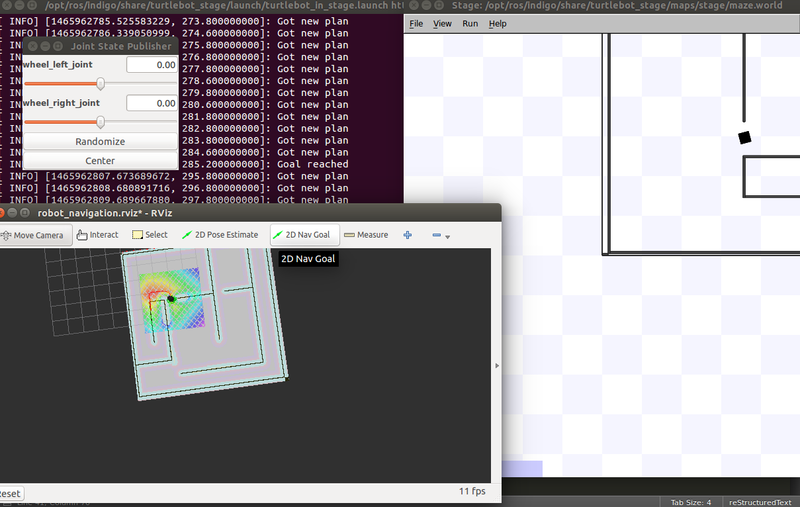 The .rviz file has all the settings for the RViz simulator so you don’t need to worry about it. 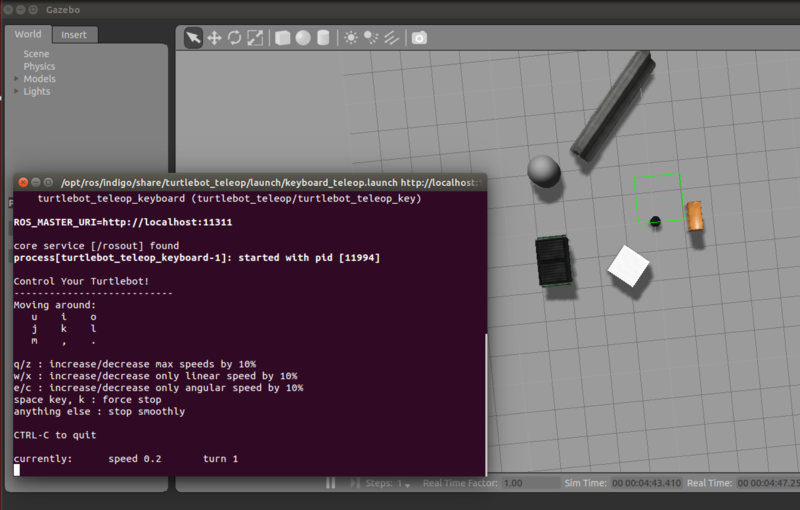 The turtlebot.inc file defines the layout and the sensor for the turtlebot robot. Make sure to keep a copy of the original files in case you did something wrong specially the .png .yaml .world files. 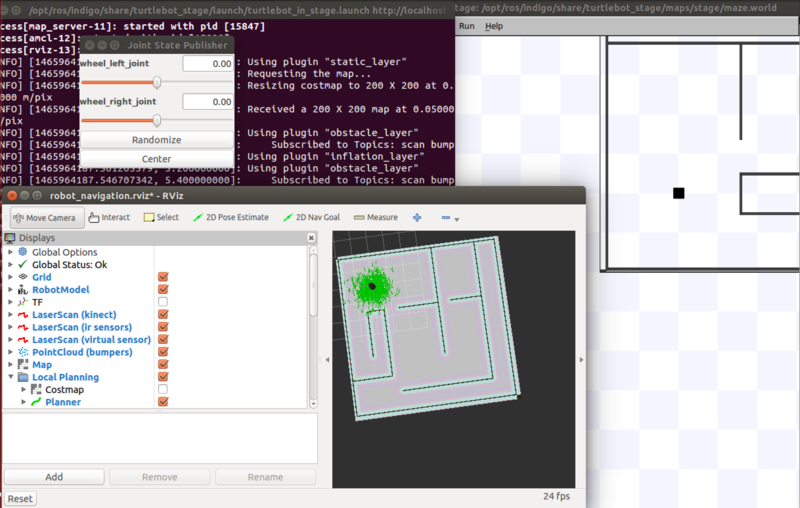 In order to edit the map you want to have, open the file maze.png with any editor and modify it. roslaunch turtlebot_stage turtlebot_in_stage.launch map_file:="~/path/to/new/file.yaml" world_file:="~/path/to/new/file.world"
For more details about Stage on ROS, please refer to the Stage wiki page. You can add default customization for the block inside the .inc file. You can refer to this page for more customization. Make sure if you changed anything in the .yaml file to adjust the .world file. In this section we will bring up the turtlebot robot in the Gazebo simulator. For more details about Gazebo on ROS, please refer to the Gazebo official page. Gazebo may need a couple of updates before running to update its database and it will take a few moments. Try to finish the teleop tutorial before you complete this tutorial to make sure you have all the necessary packages. Try to move the robot around. The RViz simulator may take a couple of minutes to be launched. Make sure you have a powerful PC with a good graphics card.